I admit it, she’s a better bodhrán player than I am. Today was Catherine’s first day at her new job. She’s been very excited about this place, especially after the difficulties experienced at the last one. 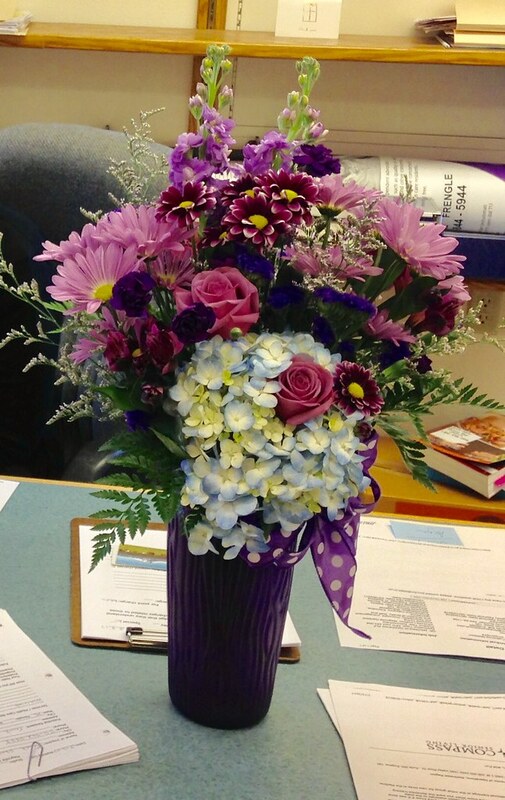 To help get this chapter going on a strong footing, I had flowers delivered to her at work. I am happy to report that she loved them. I, too, am very pleased with the good job the florist did. March 12th, 2017 | Seaners | Tags: Poetry.